A contract is essentially an agreement in writing between two parties. This is very simple and you wonder why there are so many problems that arise It is the language within the paragraphs. The language and structure of legal sentences can be very confusing to an ordinary person. They are not used to the words and phrases, and get confused. A contract can be something like a service agreement. Still, there is confusion a person experiences that causes a lot of frustration. Interpreting legal documents is a group legal plan benefits that can help the ordinary individual. Being able to have an attorney look at the contract ahead of time reduces a lot of anxiety. This legal professional can point out clearly what the obligations are for both parties, and warn of any problems. Some contracts are of date; the changes in the states contract law may render them unusable. 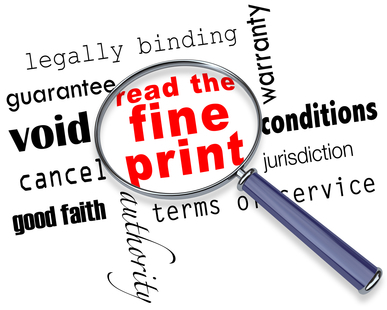 A normal consumer may not know that unless an attorney had reviewed the paperwork. Such a review permits a renegotiation of the agreement, and avoids a lot of bad feelings. A complete pre-paid legal services benefit is going to have a provision for reviewing legal documents, including contracts. Countrywide Pre-Paid Legal Services offers such review for any group legal plan. We Offer a Service Nationwide. A plan member in San Francisco can expect the same kind of quality service as anywhere else. We have a network of attorneys nationwide who provide the services of a Countrywide plan. These men and women are experts in areas of contract and legal documents. They will review up to six pages of text for any plan member. They also live in the same community as the group legal plan member. It helps that they are well aware of the community and how business is commonly done. The lawyers go straight to the heart of the matter, and provide the assistance a person needs. These lawyers can point out what are the obligations of each party to a contract, and part of the pre-paid legal services are unlimited telephone calls to the attorney and face-to-face consultations. Countrywide also permits lawyers to write letters and make telephone calls on behalf of the group legal plan member. This is all part of the comprehensive benefits we provide, regardless of what benefit options are in the plan. We say benefit options because review of legal documents is just one of the pre-paid legal services we offer. Our group legal plans can contain a number of services intended to help individuals deal with common legal problems. Countrywide’s experience with providing group legal plan benefits allows us to better understand how each client is unique. We have provided service to a variety of organizations, and allow the client to decide what should be in the plan. Clients can take a look at the options we have and make a selection. The understanding is that whatever is in plan is what the client feels is best for the workers. We respect that without question. Any of the pre-paid legal services we offer have a streamlined administration to allow help to be delivered quickly.